When in Rome, or anywhere in Italy, or a good Italian restaurant, do as they do, and eat Italian food. A well-known Italian restaurant in our area features this dish on their lunch-time menu throughout the summer months. I have had it there and loved it. It features a combination of eggplant, tomatoes and onions with fresh herbs served over penne pasta. A while back our local newspaper published this recipe for the dish, and I was so delighted that now I could prepare it at home. I hope you enjoy this dish as much as we do. Use the freshest eggplant and plum tomatoes you can find. Also lots of fresh basil or marjoram is key to the delicious blend of flavors. 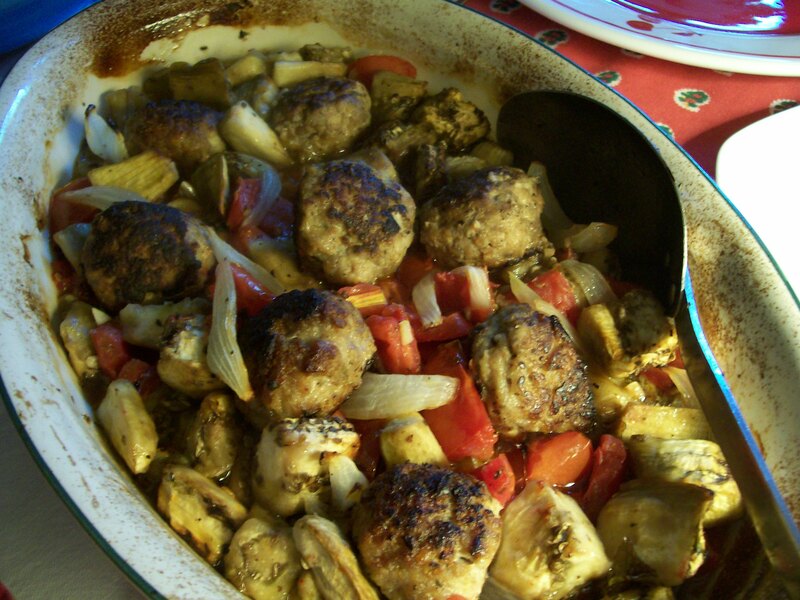 Serve with grated Romano cheese and crusty Italian Bread for a true restaurant-quality meal. 1. Place cubed eggplant in a colander and sprinkle lightly with salt. Toss. Allow eggplant to drain at least 30 minutes. Rinse, and pat dry with paper towels. 2. Preheat oven to 425 degrees. Spray a large roasting pan with non-stick spray. Put the eggplant, tomatoes, onion, garlic and herbs in the roasting pan. Pour the 1/4 cup oil over all and stir well to coat vegetables with oil. Add salt and pepper to taste. Spread out into an even layer. 3. 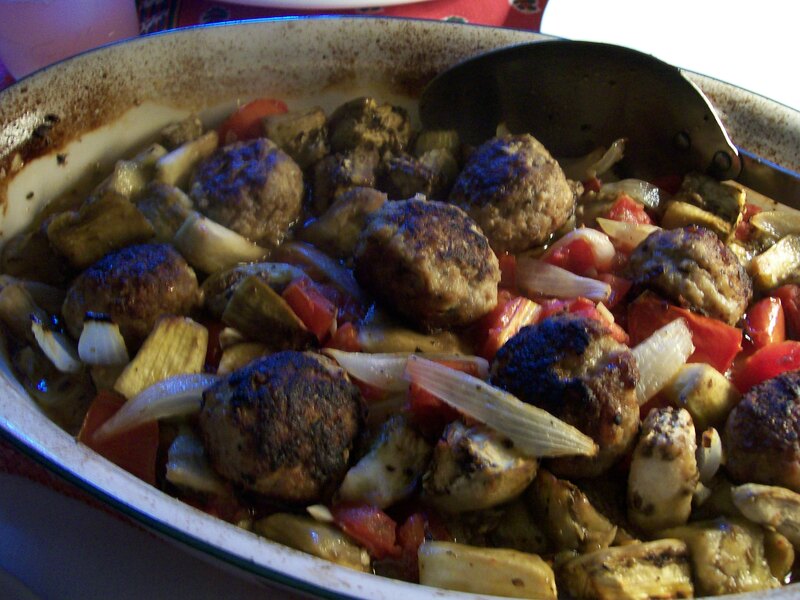 On the top rack in the oven, roast, stirring occasionally , until eggplant and onions are lightly browned, 25-35 minutes. 4. Meanwhile in large kettle, bring water to boil and cook penne to al dente (7 – 10 minutes). Drain. Immediately add to the roasting pan with the vegetables. Add chopped parsley and EVOO . Toss well. Transfer to a large serving dish. Serve with grated Romano cheese. SOURCE: Courtesy of Max A Mia restaurant.